Ginger's Garden Handmade Artisan Soap: Enigma Natural Shaving Soap and After Shave with Essential Oils from Ginger's Garden is here! 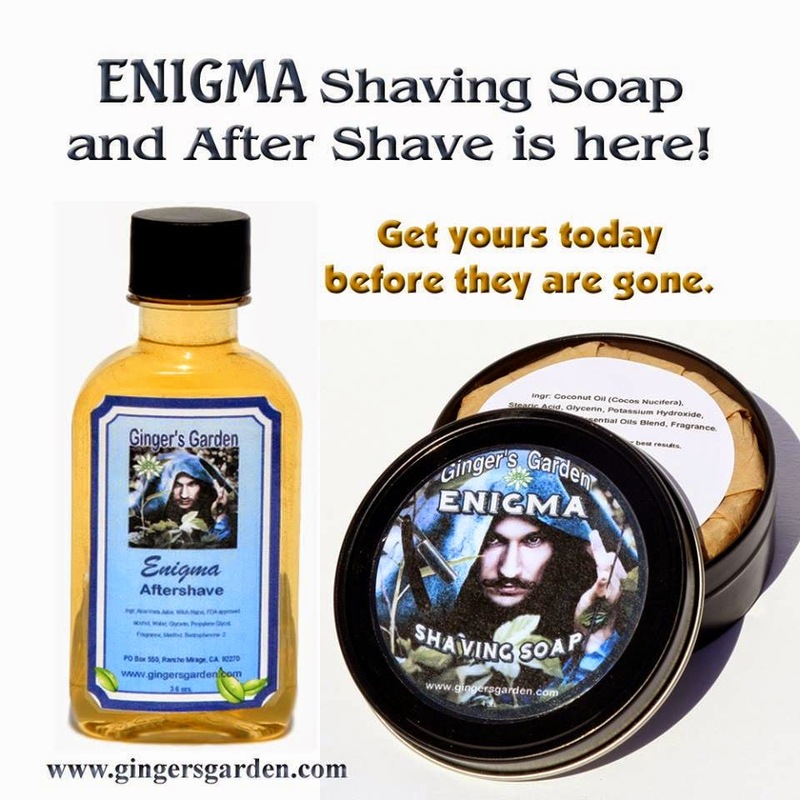 Enigma Natural Shaving Soap and After Shave with Essential Oils from Ginger's Garden is here! Thank you to all the wet shavers that have helped me test Enigma Natural Shaving Soap. It has been a great success! As a special request I have made a matching after shave. Enigma has notes of Pine, Cedar, Amber, Sandalwood, Patchouli and Vanilla with notes of Marshmallow, Musk, Brown Sugar and Coconut. It is mysterious and deep, with a hint of sweetness. Enigma natural wet shave soap has lots of easy to load lather and provides stable, creamy bubbles for a smooth and silky shave. A perfect shaving soap that leaves your skin soft and smooth. The wet shaving formula is coconut oil based and conditioning, so your razor will just glide across your skin. Enigma after shave is conditioning and lasting on your skin. It adds a cool, refreshing finish due to natural menthol. It will leave your skin soft and smooth. The unique formula includes aloe vera and glycerin. Enigma after shave is just a little bit thicker then a standard after shave.